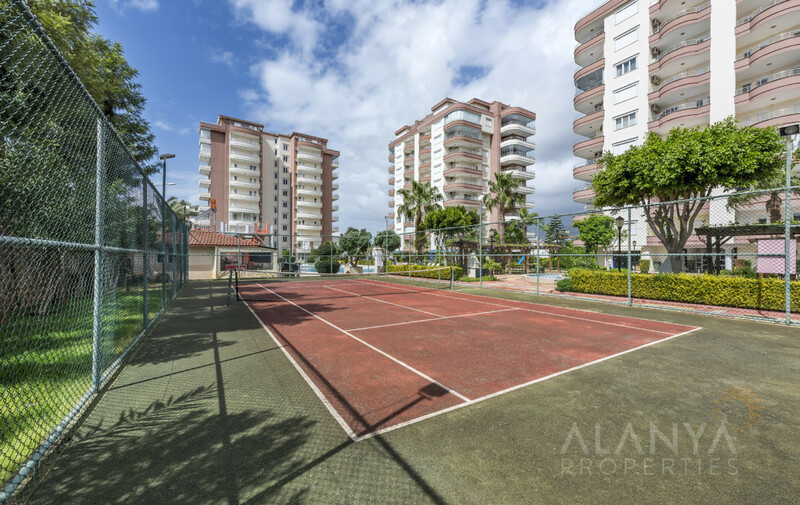 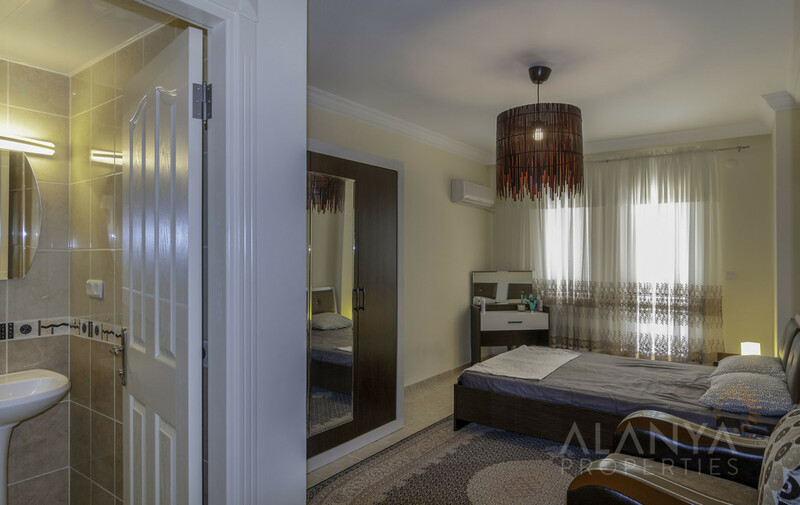 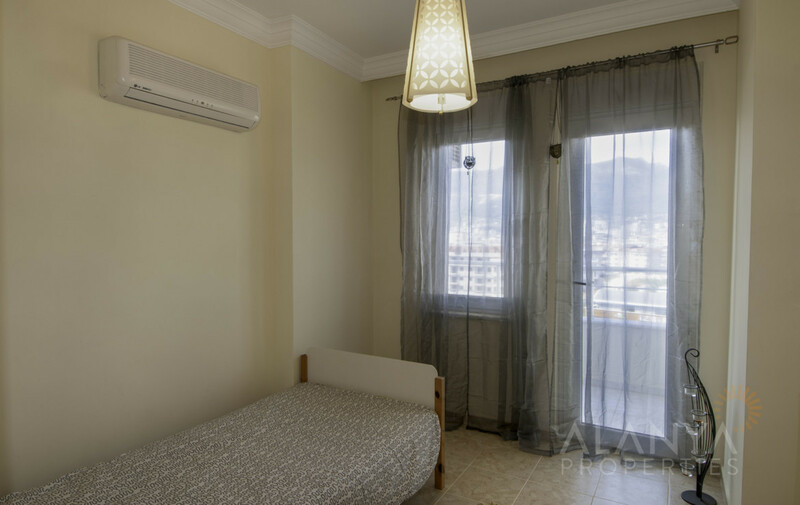 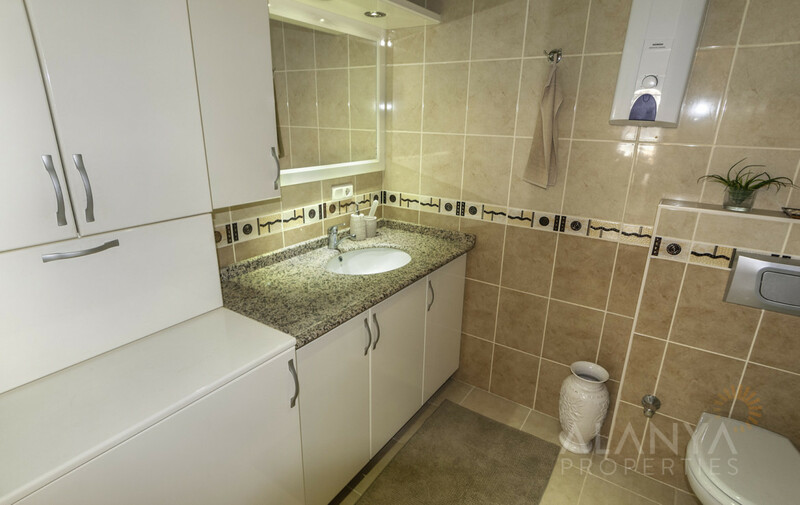 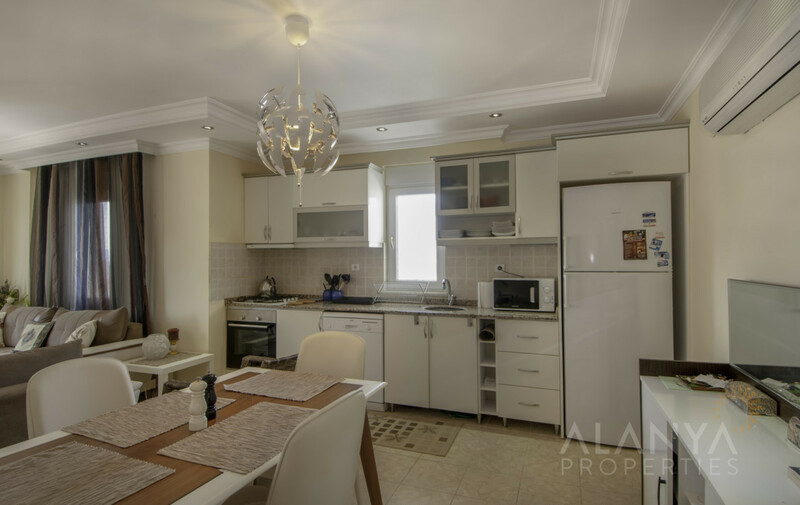 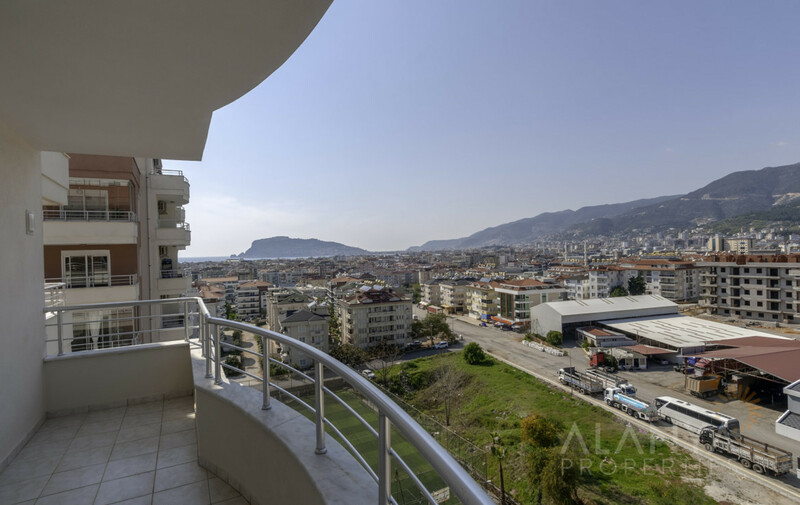 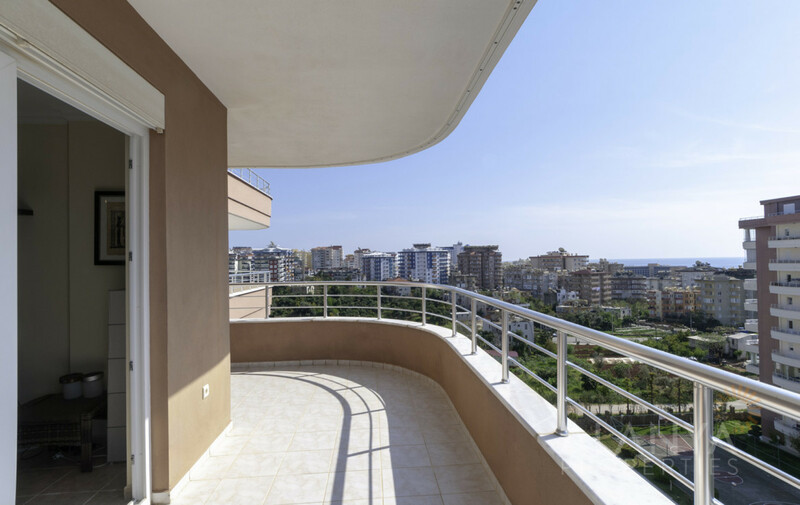 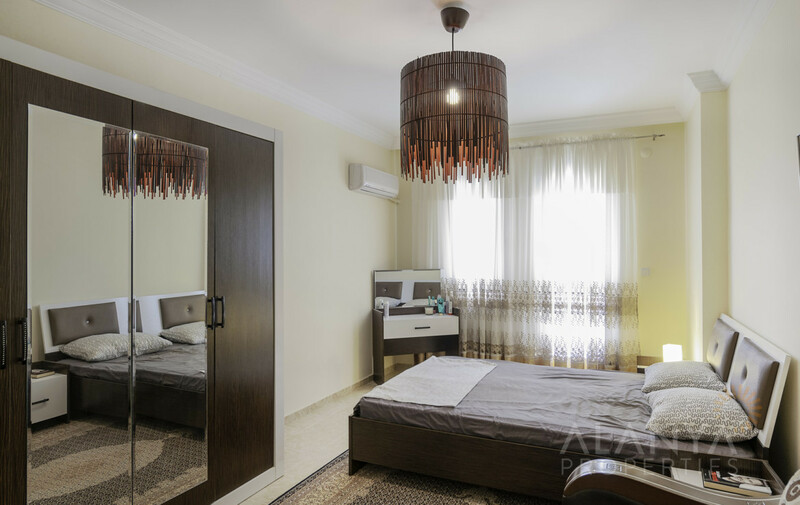 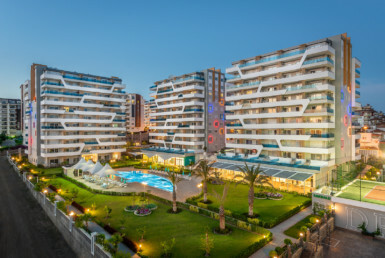 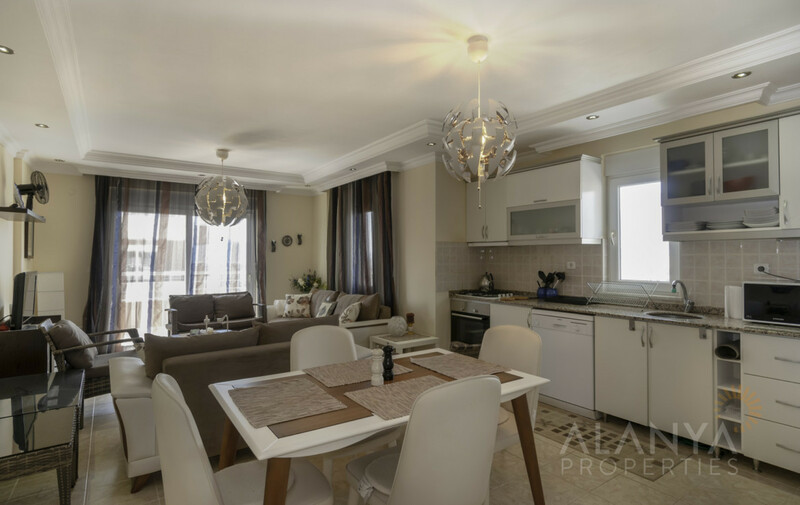 Prestige Residence – 3 bedrooms apartment for sale in Tosmur, Alanya. 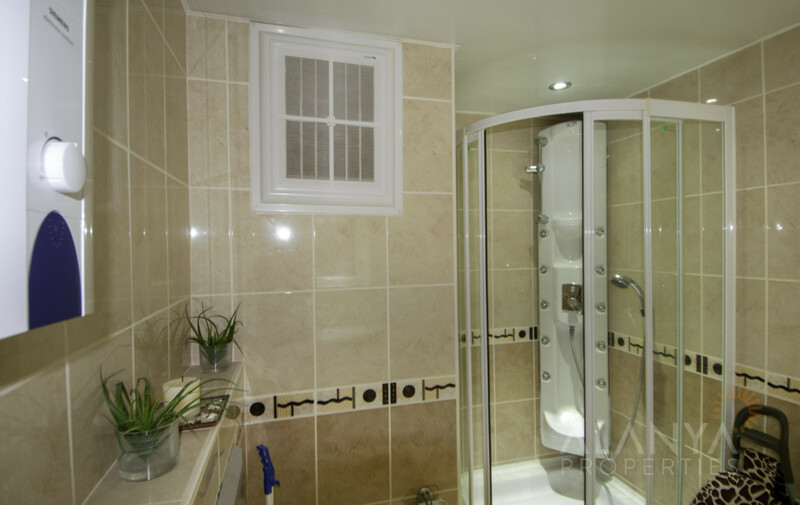 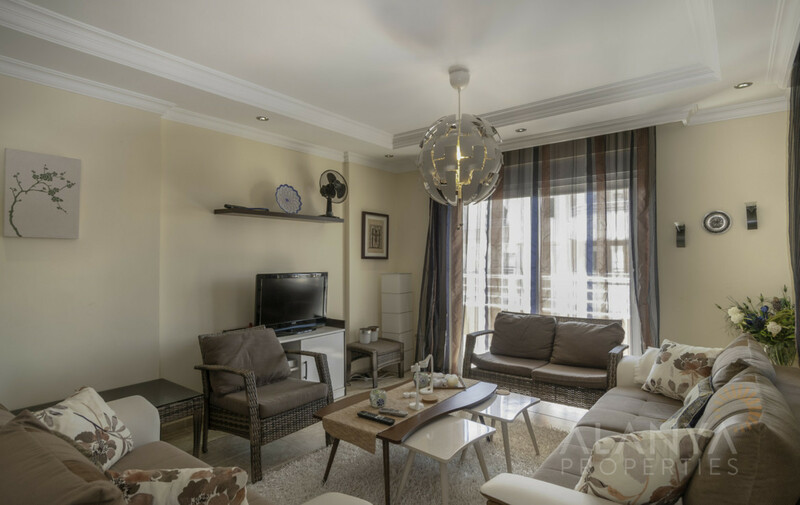 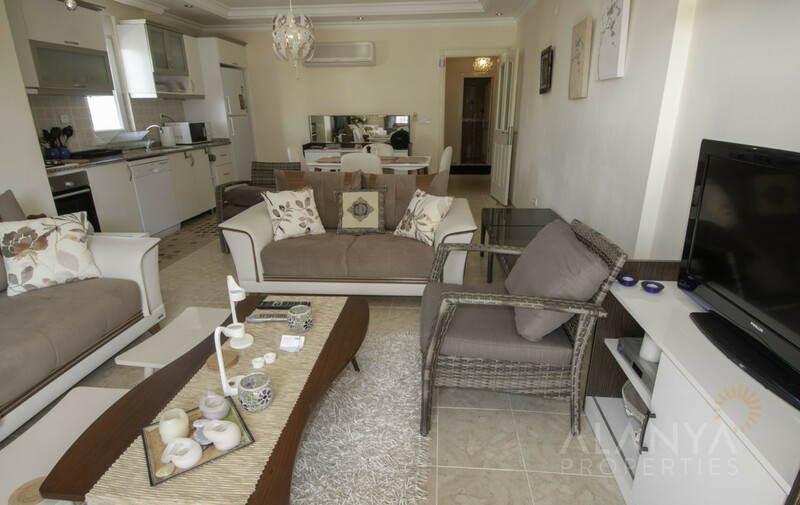 This fully furnished apartment is located on the 8th floor overlooking the sea and the pool. 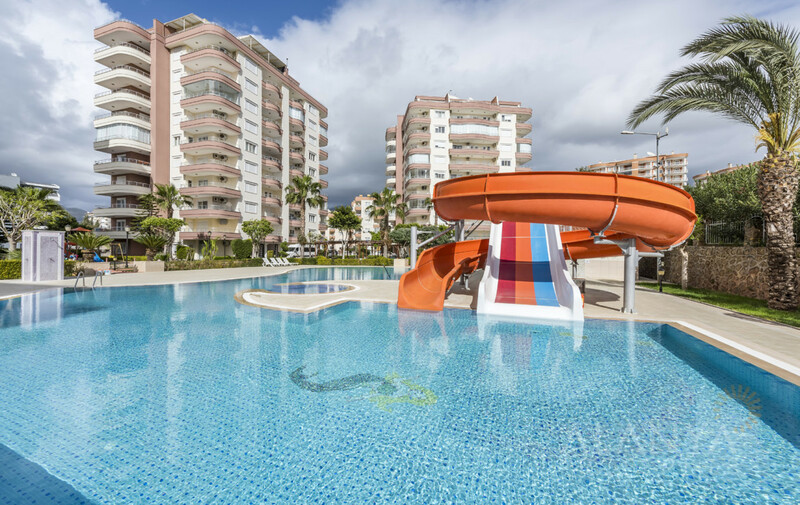 The Prestige Residence offers social activities such as a pool with water slides, a children’s pool and a children’s playground. 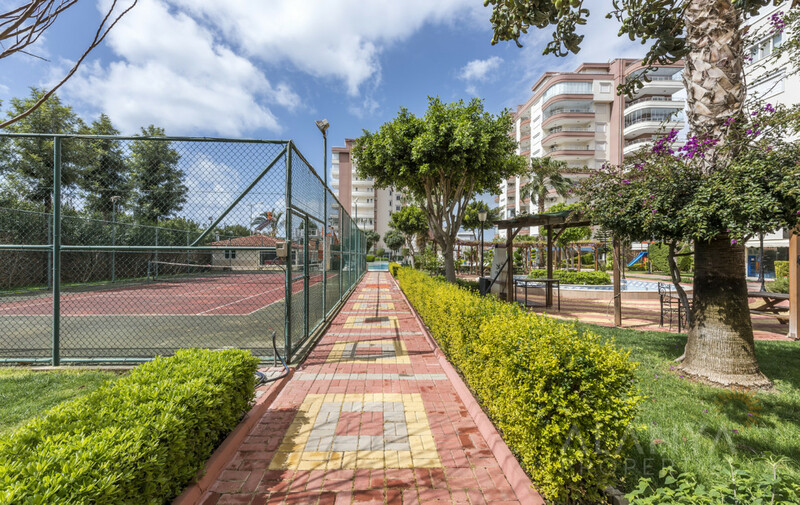 BBQ area, fitness, sauna, games room with table tennis and billiards, basketball and tennis court, snack bar, market and much more. 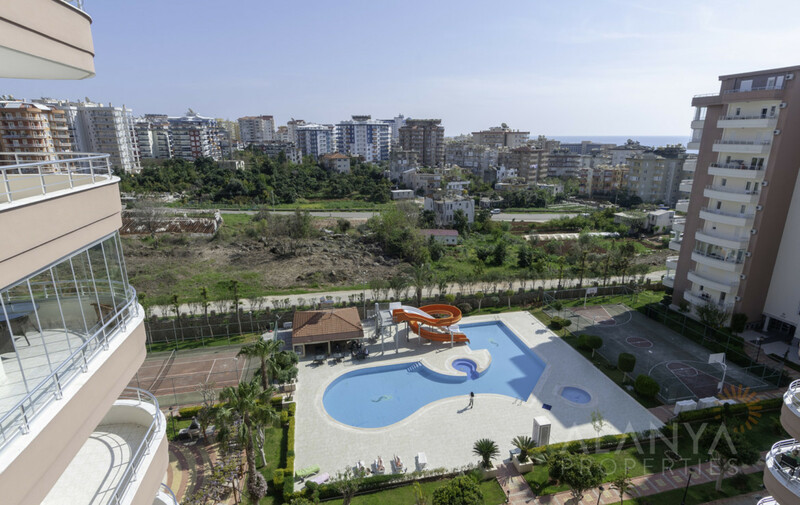 The complex is 650 meters from the beach, 200 meters from the hospital, 200 meters from the green bazaar and large shopping centers. 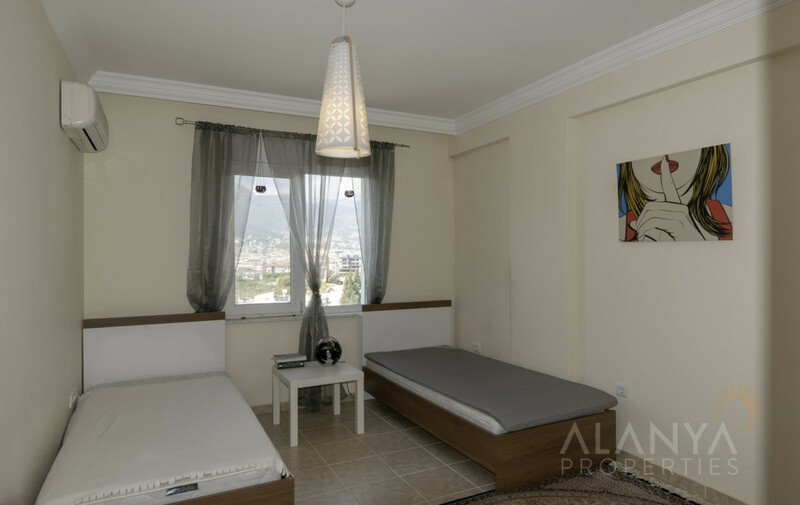 Only 5 km to the city center of Alanya. 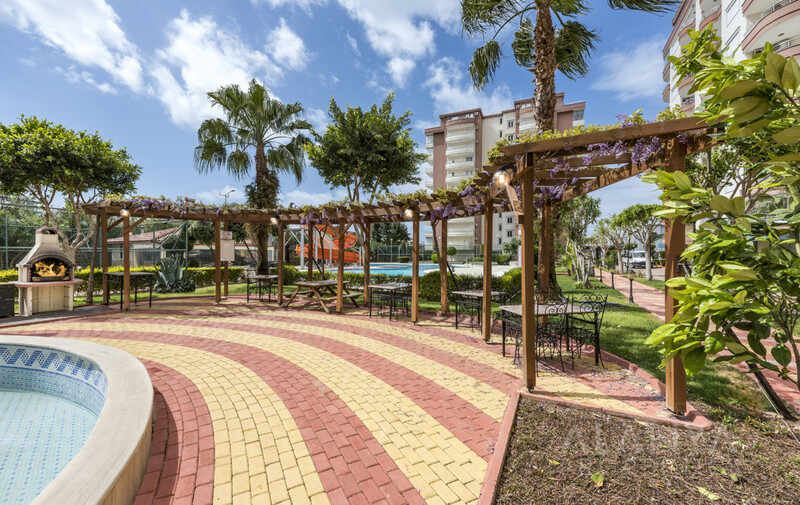 Bus station nearby to take buses to Alanya. 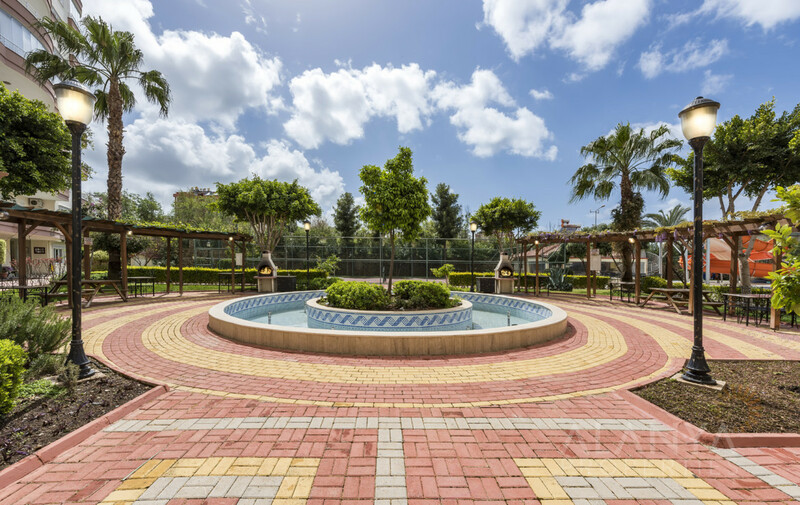 The district Tosmur has its own city center with restaurants, bars, shopping malls, banks etc. 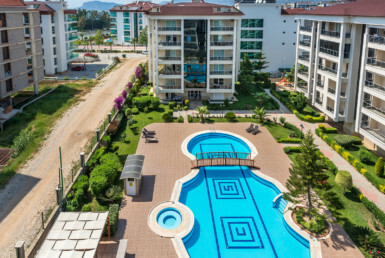 Prestige Residence is 30 minutes from Gazipasa International Airport. 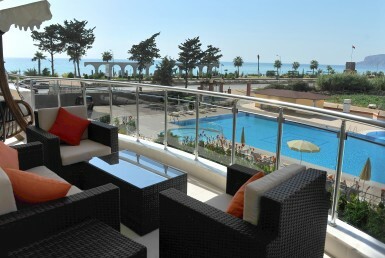 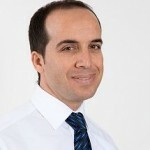 125 km from Antalya Airport. 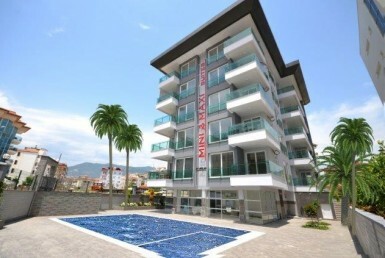 For more information and details about your property in Alanya contact us, Alanya Properties.